Chances are that you know that more and more Americans need help for prescription drug abuse like with a professional prescription drug rehab. If you turn on the television, you will see countless prescription drug commercials. Each of these commercials revolves around solving a problem by taking a pill or taking something else. Each of the advertisements tries to hammer home the point that medication is important and a vital component of the western world. Even though prescription medication is beneficial for our society when taken correctly, the number of people who need help for addiction to prescription drugs and the prescription medication overdoses throughout the country would suggest that not everyone is taking these medications the right way. Before people admit that they need prescription drug addiction help, most of them will have experienced a minimum of two of these stages. Dependence – This stage sets in if the user has a physical and psychological dependence on the drug. If someone stops using (or runs out of their prescription drug of choice), he or she has to deal with physical and emotional withdrawal symptoms. Most of them are just frustrating and feel like a serious flu, but others can be almost debilitating. 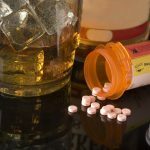 Because the user is aware that relief from these symptoms is moments away if they caved into drug use, it can be extremely difficult to remain sober without the support of prescription drug rehab centers. Tolerance – Long before a patient ever seeks out prescription drug abuse help, he or she will have struggled with the development of a tolerance. The body becomes used to having the drug present. As a result, the body builds up a tolerance. This means that in order to feel as good as they did before, the user needs to take in more of the drug. Overdose – Unfortunately, without prescription drug addiction treatment, an overdose is a serious possibility for people who struggle with prescription drug addiction. Especially those who manage to avoid using for a long time, only to go back to their previous levels of abuse are at a very high risk for an overdose. The statistics are clear, more and more Americans need prescription drug treatment for addiction. 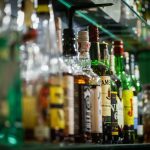 According to the statistics from the National Council on Alcoholism and Drug Dependence, as many as 20 percent of all adults throughout the country readily admit to abusing these medications. While occasional prescription drug abuse does not necessarily mean that these people need prescription drug abuse treatment, it does mean that they might not have had a prescription for the medication, tried to increase the effects of the medication by combining it with alcohol, tried to get the medication to work faster by chewing, snorting or injecting it; or took higher doses than prescribed. It is important that abuse does not transition into addiction overnight. There are gradual steps where the user might not even be aware of the changes. What starts as an increased dosage and a developed tolerance might lead to someone needing more and more, trying different ways to abuse the drug to increase the high or make it work faster, or find that they are unable to last through the prescribed period. Eventually the recreational use can turn compulsive. Suddenly someone is abusing drugs to manage withdrawal symptoms rather than what it was originally intended for. Before someone can enroll into treatment for prescription drug abuse, you have to be sure that they have a problem with dependence. The way that addiction manifests itself can be different for everyone. Borrowing money or stealing money to buy drugs. 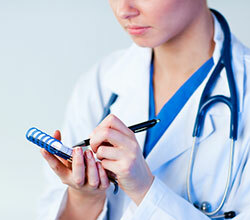 Faking injuries or illnesses in order to get new prescriptions. Using multiple pharmacies to fill prescriptions. Getting prescriptions for the same drug from multiple doctors. Especially now that many individuals are struggling with addiction, it is important to find treatment for prescription drug addiction if you believe that you or someone close to you struggles with dependence. Countless studies show that addiction can be treated. Provided of course that the user enrolls into one of the qualified prescription drug rehab centers. It is important that a program take the needs of the user and the abused medication into consideration as well. Contrary to what people assume, just enrolling into one of the different prescription drug detox centers is not the journey; it is only the first step. Once someone has a chance to make a difference, this is when the recovery process can start. One of the most important factors in treatment is the behavioral component. 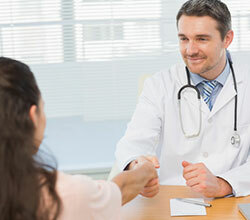 This means that patients are able to learn new strategies on how to deal with specific situations. For example, it might teach the patient how to deal with joy or sorrow without requiring the use of drugs. This means avoiding temptation, dealing with potential cravings for the drug, but it also means that patients learn to avoid situations where drug use might be possible. Many of the programs even discuss what the patient should do in the event that he or she does relapse during their sobriety. If you believe that you or someone close to you needs prescription drug rehab, make sure that you pick up the phone and find out what prescription drug addiction treatment centers are available. No two patients are the same, which means that no two treatment methods could be the same either. It is important to note that you cannot begin to make a change unless you accept the fact that something is wrong, that something needs to change. Make sure to call today for quality prescription drug rehab treatment and end the cycle of dependence.